Blend consisting of only Arabica and Robusta plantation coffee, selected electronically beans by beans, certified by CSC® Certified Specialty Coffee. Blend consisting of only Arabica and Robusta plantation coffee, selected electronically beans by beans, certified by CSC® Certified Specialty Coffee. Particularly well-balanced having a mild and aromatic taste, with distinctive aromas of flowers, dried fruit, delicate chocolate and exquisite bakery. Its excellent body is suitable for refined palates in search of superior quality. Product certified by CSC® Certified Specialty Coffee, which guarantees and certifies the superior quality of plantation coffee elected. 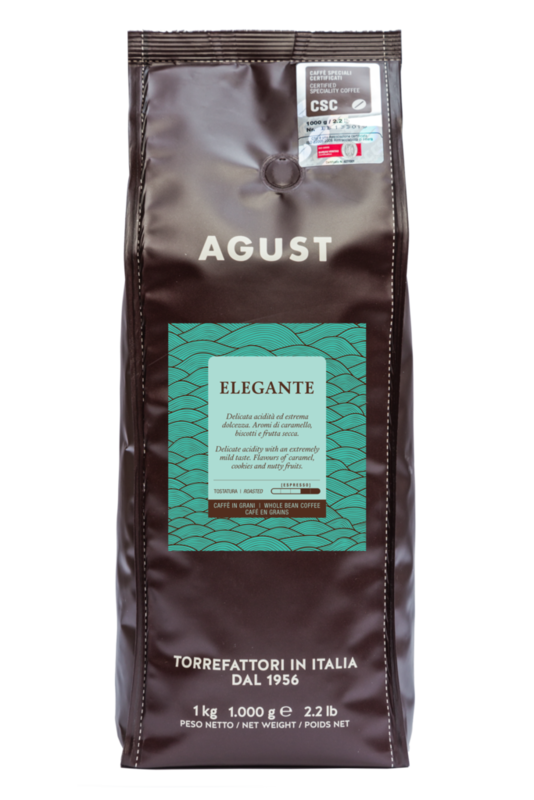 It is characterized by an anti-counterfeiting label, numbered progressively, ensuring that the packaging on which it is affixed contains exclusively certified coffee. To become part of this blend, our beans must overcome 2 selections. The first made in the countries of origin and the second made by us, through an optical-electronic grading machine, which rejects those beans lighter or darker which could affect the coffee taste in the cup. A guarantee for perseverance in having positive results.